CUTCRAFT MUSIC GROUP, INC. IZZY BIZU "FOOLS GOLD" ROOFTOP SESSION - CUTCRAFT MUSIC GROUP, INC.
Posted July 3, 2014 & filed under Uncategorized. 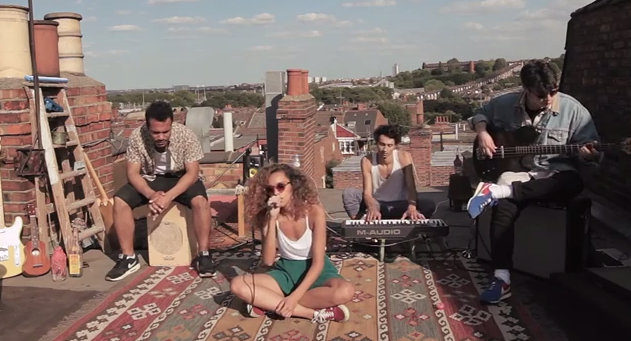 Following Glastonbury, Izzy Bizu made the most of the sun performing the first part of her summer rooftop sessions. She laid down a cool vibe with “Fools Gold” off her Coolbeanz EP, seeing as it is the BBC Introducing track of the week!